I love to travel. Learning about a new culture, getting out of my comfort zone, picking up new styles and exploring new territory is always fascinating! It was a no brainer to attend the7th Annual Los Angeles Travel Show in Long Beach and be inspired by the destinations I could fill my calendar with this year. 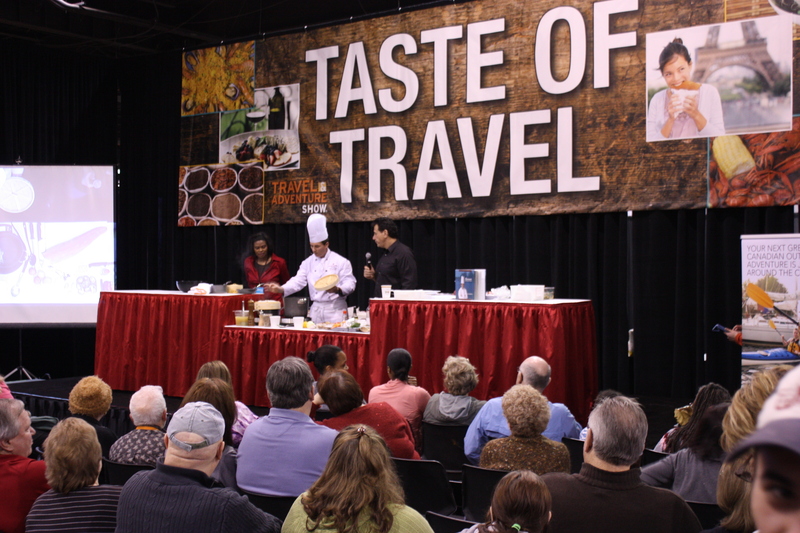 The largest travel show in the West, the passionate jet-setters attended this yearly event. There were also talks led by some of the most well-known Travel Channel personalities including Samantha Brown and Andrew Zimmern. As soon as I arrived to the event, I was able to meet Samantha Brown and grab a photo before she headed off to speak on the exhibition floor. The Culinary stage showcased culinary experiences through unique cuisine from different destinations around the globe while the Global Beats Stage displayed music and dance from Spain, India, Ireland,Taiwan, Mexico, Egypt, the Middle East and Brazil. Highlights included Bollywood step dance, belly dancing and Flamenco. Fashionistas can travel anywhere and make a statement, but my top choices for destinations to rock your style are Hawaii, Bali, Tahiti, Hong Kong, South Africa and Australia. Wherever you go, always be a walking advertisement of yourself!